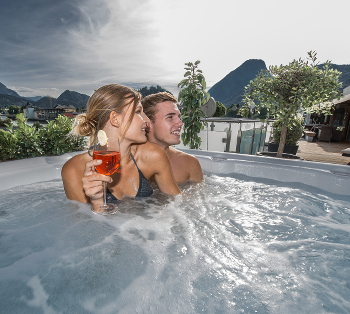 Our Rendezvous™ LS sets the standard in affordable luxury by providing superior hot water therapy. Measuring 7′ by 8′ it provides comfortable, barrier-free bench seating for up to 8 adults. Strategically placed hydrotherapy jets, along with two DTS™ whirlpool therapy jet systems, the Rendezvous™ LS is equipped with a 2-pump system to give you the ultimate backyard hot tub experience. 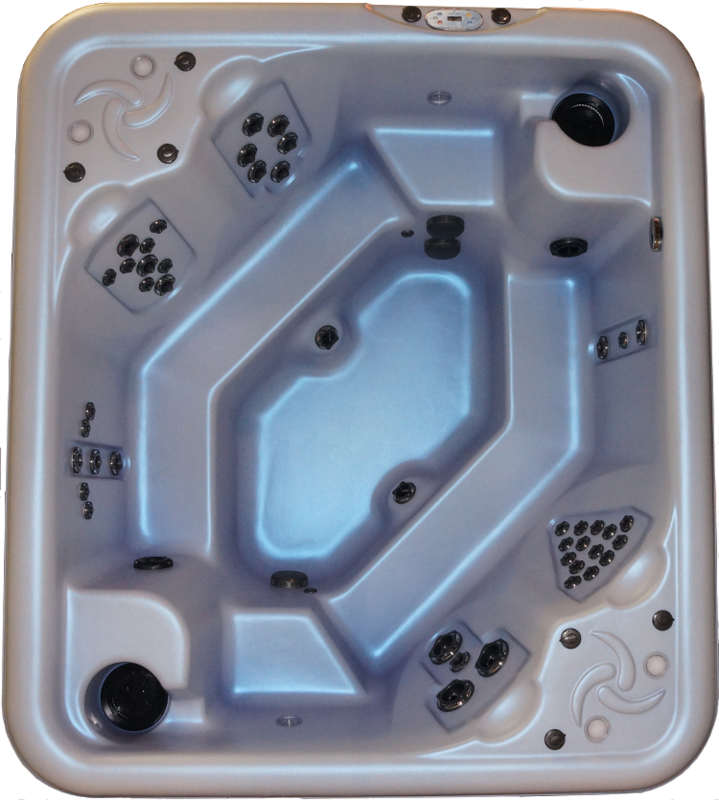 Featuring a standard Northern Lights LED lighting package, this premier hot tub rivals competitive models selling for twice the price.Create an oasis in your own backyard with a Nordic Rendezvous™ LS!Rendezvous™ is not available in White, Silver or Serenity Blue shell colors.